Shri Ram Murti Ji was a veteran freedom fighter. He was so much impressed with the speeches, the logic and the sentiments of Gandhi Ji that he courted arrest while studying in Banaras Hindu University. He took part in all satyagrahs and Quit India Movement launched by A.I.C.C. under the matured and dynamic leadership of Gandhi ji. He was jailed several times during freedom struggle and sentenced Kaal Kotri for two months. He was a true Gandhian. He completed his primary education from Bareilly. He then graduated from BHU, Varanasi and pursued his Master & Law degree from Lucknow University. He learnt lesson of “Nisswarth Sewa” from Mahamana Madan Mohan Malviya and under his guidance practiced it with utmost devotion and determination. He also served as a volunteer at Allahabad Kumbh. Shri Ram Murti Ji was a member of U.P. Assembly from 1946 till 1977. 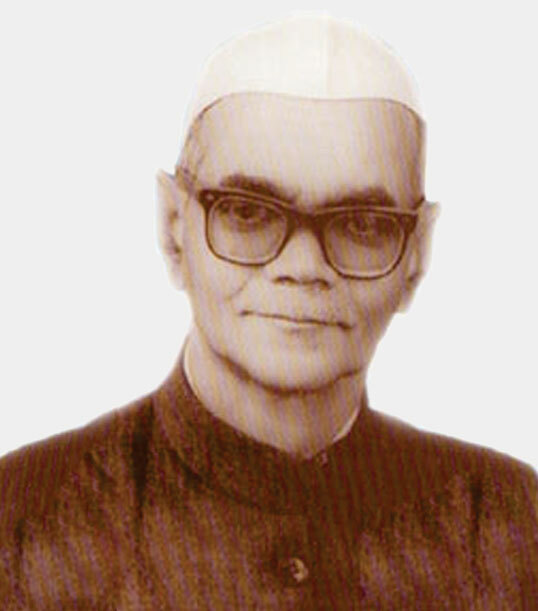 In 1977, he represented Bareilly in the Lok Sabha. Ram Murti Ji served as a Minister in the Cabinets of Pt. Govind Ballabh Pant, Dr. Sampoornanad, Shri. C.B.Gupta & Mrs. Sucheta Kriplani for nineteen years and always worked for the development of the state and country. To promote green revolution in India he visited several countries like USA, Japan, England and Taiwan on agricultural missions of Govt. of India. Ram Murti Ji declined to accept the pension offered to the freedom fighters, since he was of the conviction that whatever he did for the motherland was out of patriotism and not for material gains. In pursuance of the same patriotic spirit, he donated 30 acres of agricultural land in the “Bhoodan Movement”. He breathed his last on October 2, 1988 at Bareilly. Such a great soul he was and a truly inspiring one!